The website of HESPER VERÄINER is a part of the Orga50-Network. This means that you can easily browse all the websites within the network without having to register and login every time. 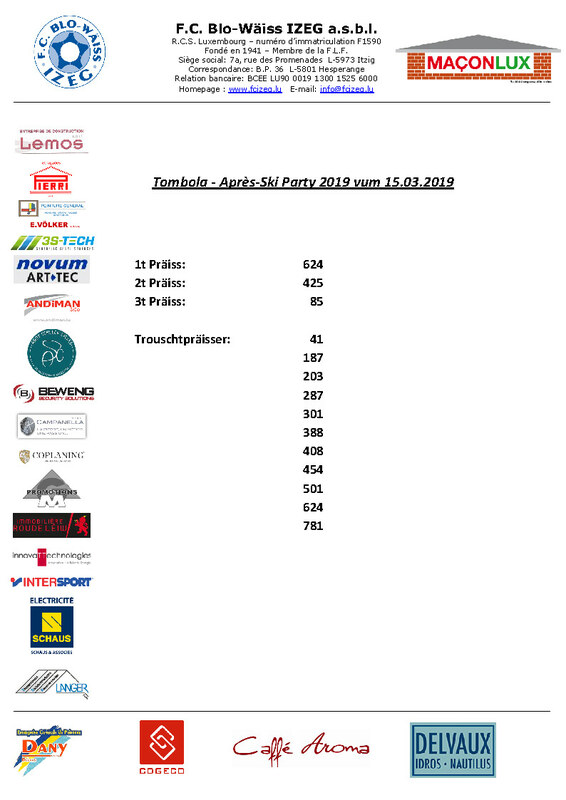 Hei sinn d'Gewënner vun der Tombola vun eiser APRES-SKI PARTY XXL 2019. Written by Ivica Repusic, 09/04/2019 12:00.